It’s very easy for Christian women to get wrapped up in the to-do list of daily life. Staying busy with everyday activities draws us further away from God, leaving us feeling dry and empty. It’s not until we reach the bottom of the barrel that we reach out for the Lord’s refreshment for a moment, getting just enough nourishment to keep going another day. 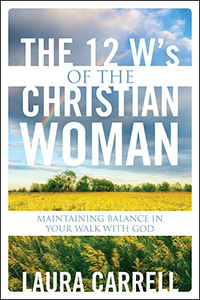 The 12 W’s of the Christian Woman is about maintaining balance in day-to-day life so we can be in constant fellowship with God. If any one of our W’s is out of whack we will be distant, but learning how to keep our daily routine in proper order keeps us on the path the Lord has planned for us. From weariness to work, wisdom to worry, The 12 W’s of the Christian Woman will give you Scriptural insight into balancing each aspect of your life. 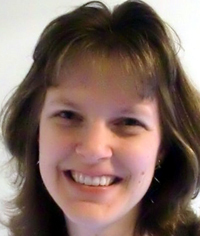 Laura Carrell, after being saved in 2005, returned to her first love of writing. Through God’s direction, she writes a daily on-line devotional for Christian women and teaches a ladies Sunday School class. She and her husband, Danny, have two black Labs and a high-spirited Calico cat.